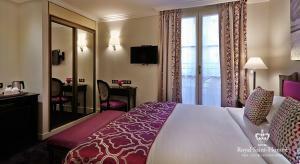 Located in the heart of Paris, the Royal Saint Honore is 1 km from the Louvre Museum and 200 metres from the Tuileries Garden. This 4-star hotel offers soundproofed guestrooms and suites with free internet access. 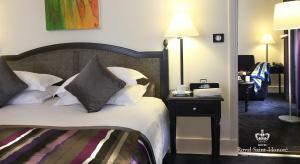 The air-conditioned rooms feature a flat-screen TV with satellite channels, a minibar and a fully-equipped en suite bathroom. The hotel serves a buffet breakfast each morning that guests can enjoy in the dining room or in their guest room. 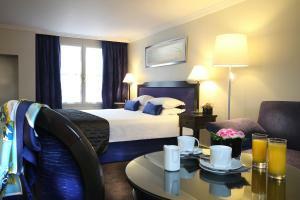 Guests can also have a meal or a drink in the hotel’s restaurant, Le St Ô. The hotel’s reception desk is open 24 hours a day and offers a ticket reservation service. 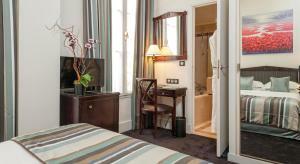 The hotel also offers a dry-cleaning and laundry service. 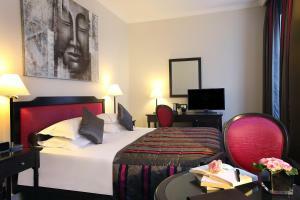 The nearest Metro Station is Tuileries, which is a 2-minute walk from the hotel and provides direct access to the Champs Elysées and the Arc de Triomphe. 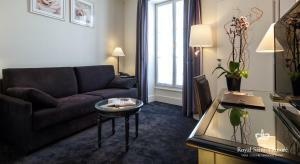 The Musée d’Orsay is a 20-minute walk away and Galéries Lafayette department store is 1 km from the hotel. 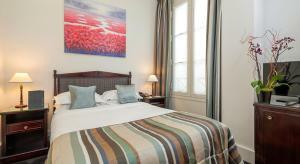 Please note that an extra bed can only be accommodated in the Deluxe Double Room and the Suite. Charges may be applicable. This room features mahogany furnishings and a marble bathroom. It also includes a flat-screen TV with satellite channels and a private bathroom with a bath, free toiletries and a hairdryer. This room cannot accommodate an extra bed. 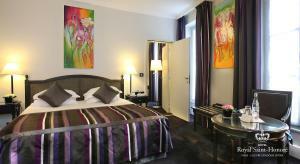 Rate: € 192.00 ... € 675.00; select dates below to get current rates. These spacious rooms include a marble bathroom, a flat-screen TV and a work desk. A welcome tray with facilities for making hot drinks is also provided. They also have a private bathroom with a bath, free toiletries and a hairdryer. This room cannot accommodate an extra bed. 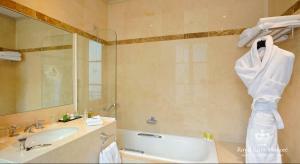 This spacious room has a large marble bathroom. It also includes a flat-screen TV with satellite channels and a private bathroom with a bath, free toiletries and a hairdryer. This room can accommodate an extra bed. This 2-room suite has a separate bedroom and a living room with 2 sofa beds and a second bathroom. This room can accommodate an extra bed.